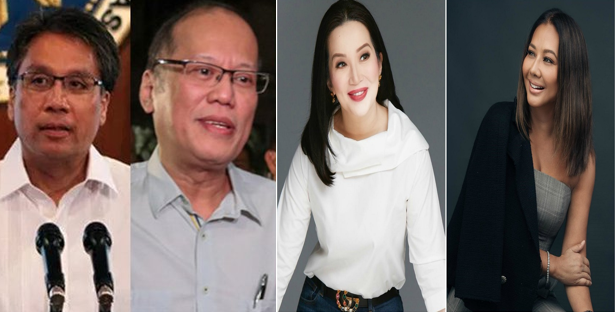 Apparently balding doesn’t make you any tougher, contrary to popular belief and proven by our former President Benigno Simeon “Noynoy” Aquino III who was apparently affected by his sister’s tirade with Korina Sanchez that led to some low-blows due to anger. It hurt Kris to see her “deadbeat” husband and his new family, most especially with Michaela Cazzola whom James is dating. But after a day of ranting and probably grieving, Aquino asked for forgiveness on Instagram again for she was dealing really low blows towards Sanchez and her husband 2016 unfortunate Presidential Candidate Mar Roxas. “I do sincerely apologize to my brother. And I apologize to President Duterte. And Mar, to you i am sorry. In the same way i would always wonder why i would be dragged into issues not of my doing- i was guilty of that tonight,” Kris posted. But as you can see, she apologized to her oversensitive brother first since apparently what her Kris did reflected poorly on Noynoy, considering the fact that he endorsed Roxas during the 2016 elections. Who cares about the past and how people see you Noynoy? Honestly we wouldn’t care about your good reputation anymore because the Dengvaxia incident has shown your true colors. Coming back to Kris’ situation, her tirade created a rift between her oversensitive self and brother. They haven’t been talking for the past three months! Now only when she asked him to visit her son in the hospital, did Noynoy visit her and actually talk to her. Thus ending the 3-month cold treatment. 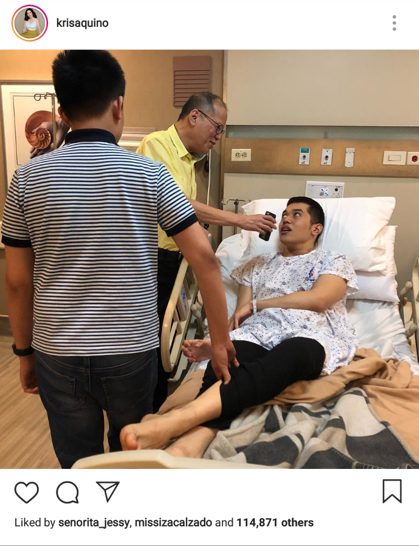 “Sa bawat pag-ospital, si Tito Noy was always there. Kinapalan ko po ang mukha ko today- nag-text ako. Umamin na alam kong na hurt ko sya pero nakiusap- KAILANGAN siya ni kuya josh. My son needed him- the ONLY constant male figure in his life,” Kris said.